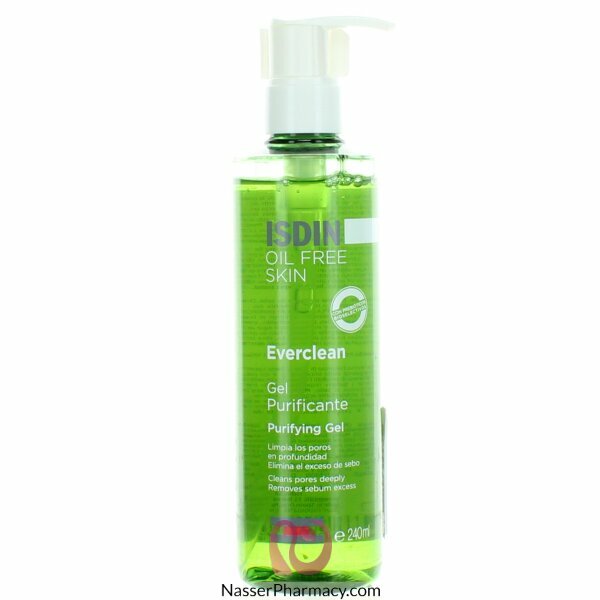 Isdin Everclean Purifying gel is recommended for skin with blemishes, blocked pores, excess sebum. Benefits: Unblocks pores and removes impurities without damaging the surface of the skin. Helps to prevent spots and blemishes from returning thanks to the balancing action of prebiotics and Zinc PCA. The Everclean prebiotics range of products works by reinforcing the skin’s natural defense, helping to reduce the bacteria that cause blemishes. How to use: Use morning and night; gently rub onto the skin and rinse well with plenty of water.